Thanhyuzayat War Cemetery, Plot A5, Row C, Grave 5, Age 35. William Charles ‘Charlie’ Roberts was eldest of three children born to Hugh and Mary Roberts. Hugh Roberts married Marry Lee ‘May’ Aldous at Philips River, WA in 1906. May Aldous was born in Victoria and Hugh was born SA. Earlier in 1903 Hugh Roberts was employed as a miner at the Goldfields, however the family settle at Ravensthorpe where Hugh was employed as an engine driver. When Charlie enlisted, his home address was ‘Mt. Madden’ Williams however he was previously residing at Ravensthorpe with his family. On 17th February 1940 Charlie Roberts announced his engagement to Frances Temple Leonard. He enlisted at the end of October 1940. The couple did not marry prior to Charlie sailing from Fremantle for Singapore in January 1941. After the war and upon learning of Charlie’s death Frances chose to further her nursing training and travelled to England in 1949. She never married. 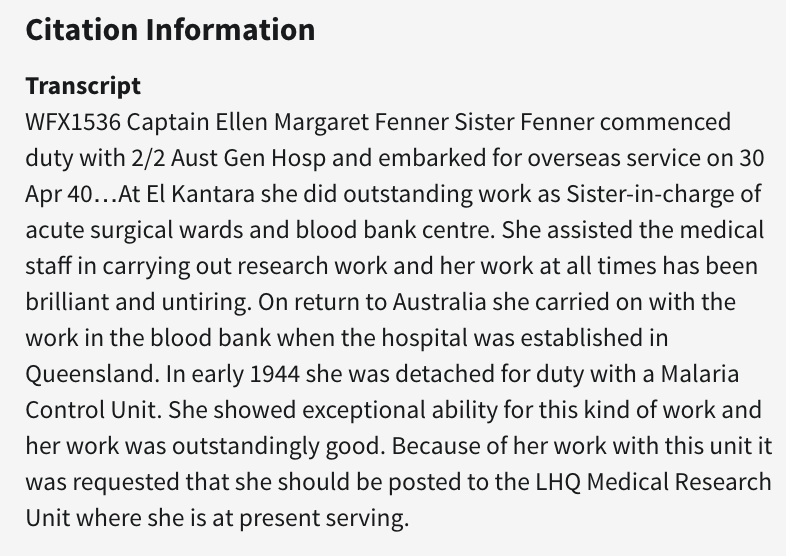 Returning to WA she was matron at several hospitals including Mt Barker and Albany. 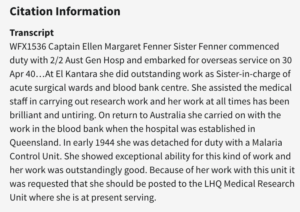 In 1958 Frances was a nurse at Thursday Island. She later moved to Canberra and died in 1976 whilst in Victoria. Ellen Roberts known as ‘Bobbie’ married in Melbourne 1944 to Frank Fenner. Frank John Fenner, AC, CMG, MBE, FRS, FAA (21 December 1914 – 22 November 2010) was an Australian scientist with a distinguished career in the field of virology. His two greatest achievements are cited as overseeing the eradication of smallpox, and the control of Australia’s rabbit plague through the introduction of Myxoma virus. Charlie’s mother died in 1959. Back Row L-R: W Roberts (11th Platoon) WX9358 died 16/8/1943 Khonkan 55km Camp, Burma, Unknown, Unknown. Thetkaw 14km 1 Dec 1942 to 28 March 1943. They arrived Meiloe 75km on 28 March 1943 and remained until 11 May 1943. The POWs arrived at Aungganang 105km on 11 May 1943. It was here Charlie became very ill and was evacuated early August to Khonkan 55km Camp. Khonkan had been established as a Hospital Camp by the Japanese and appointed Dr. Albert Coates as the senior medical officer. There were no medical facilities or supplies. Coates and his men worked very hard and long hours to keep their patients alive if possible or at least comfortable. Chrlie succumbed to cardiac failure following bacillary dysentery for which they had no medicines. He had been evacuated from Aungganaung 105km Camp on 1.6.1943 to Khonkan 55km Camp where he died on 16th August 1943 aged 35 years.